Carraher Electrical can carry out Portable Appliance Testing and label and certify that the portable appliances have been tested. It is basically a repeat of a test that is carried out when the appliance is manufactured. PAT testing covers appliances such as kettles, computers, photocopiers, microwaves, extension leads, power boards, power tools. 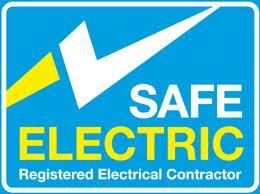 How often is PAT testing required ? There is no time frame set out for PAT testing but appliances that are regularly used should be checked at least once a year. All appliances should be visually checked by users every time they and used.